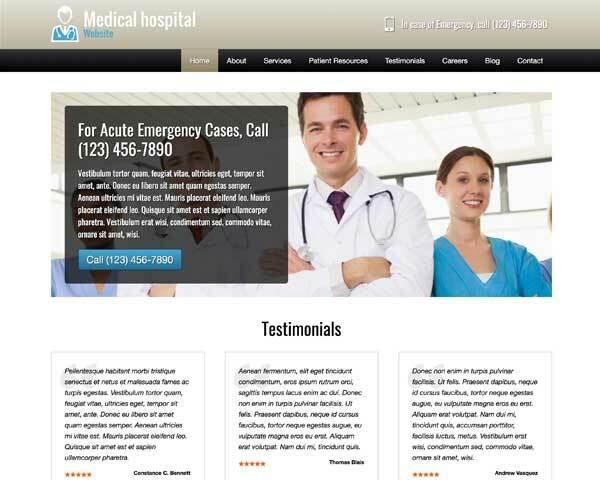 You can expand your reach and attract new clients with a great website for your health center. The Mental Health WordPress Theme makes it easy and affordable to create a professional online presence just by filling in your own text and photos on this pre-built WordPress theme. 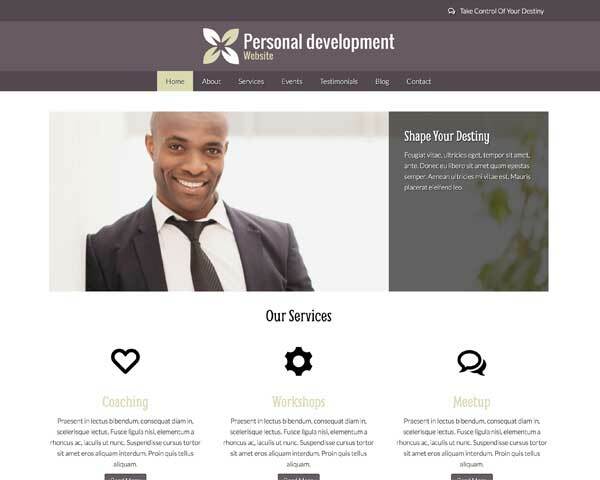 Reach more people when you build your psychology website with the Mental Health WordPress Theme. Customize the colors and fonts without any coding at all using our unique front-end editor. 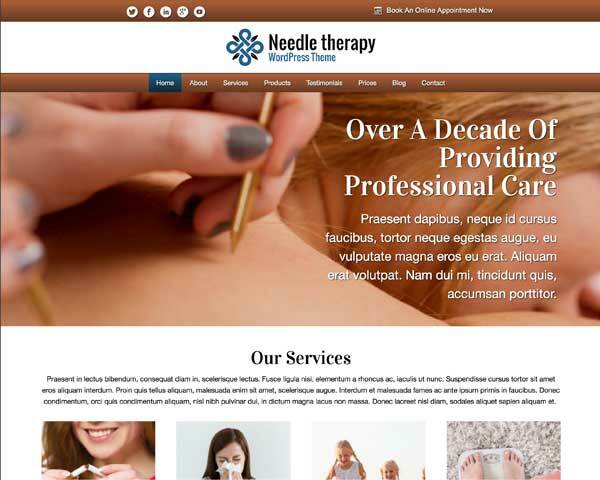 With your own text and photos in place, the Mental Health WordPress Theme helps you make a great impression online and convince more visitors to become clients. Add an exciting, dynamic element to your homepage with the Mental Health WordPress Theme's built-in image slider. Add more slides, text or links as needed. 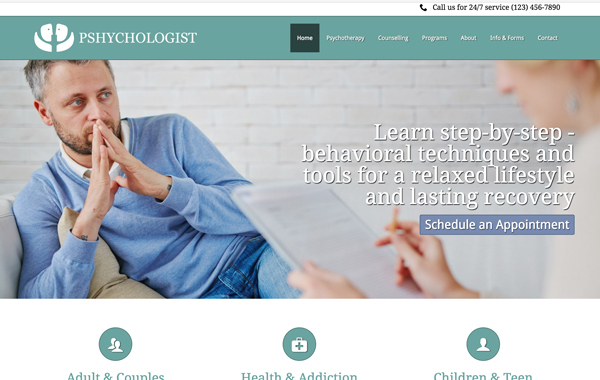 Present visitors with a quick overview of your services on the homepage of the Mental Health WordPress Theme, allowing them to navigate directly to that page with one click. 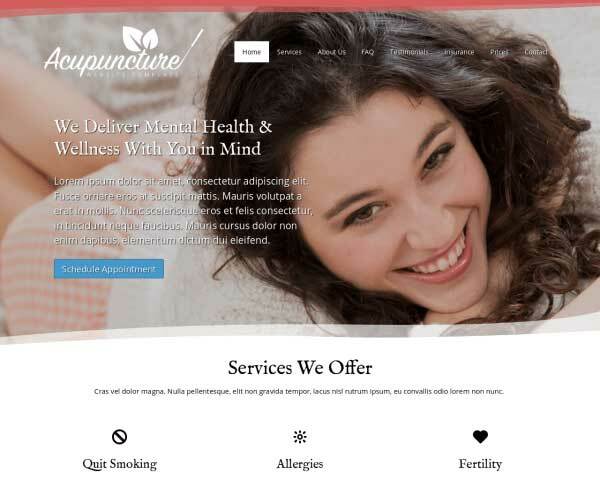 We've set up the Mental Health WordPress Theme with pages for details about each of your services and business solutions to help get your website online fast. 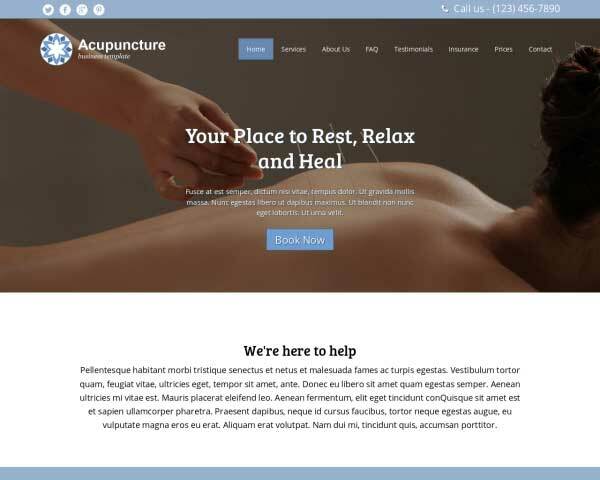 Customers coming in will be able to book online anytime with the Mental Health WordPress Theme's built-in reservations form. Easily customize the fields to suit your needs. Establish your entire team's authority by using the Mental Health WordPress Theme's about page to share a bit of each team member's own personal story. 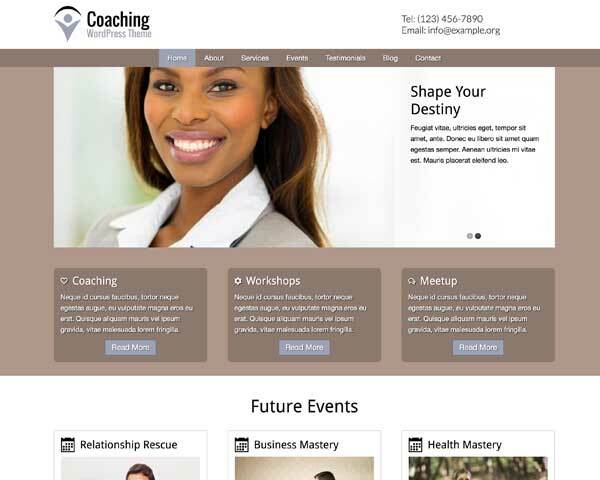 Before we started creating this theme we first did proper research to figure out the specific needs for mental health professionals. This way of working ensures the theme has the best match to your needs. 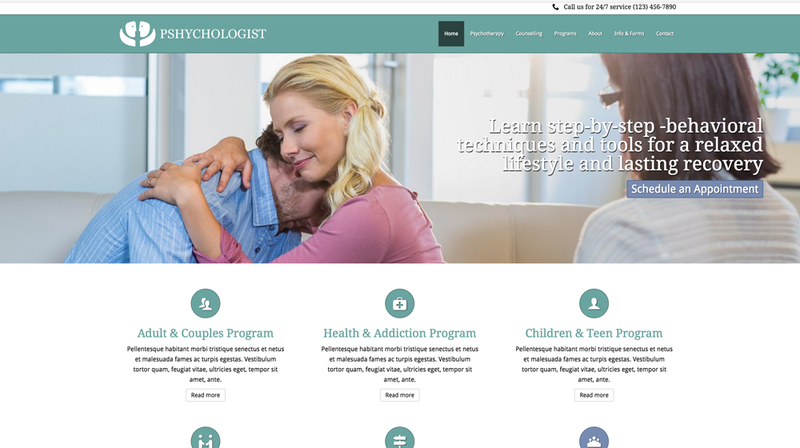 Your psychology website will make a striking impression even on small screens when you build your site with our responsive Mental Health WordPress Theme! 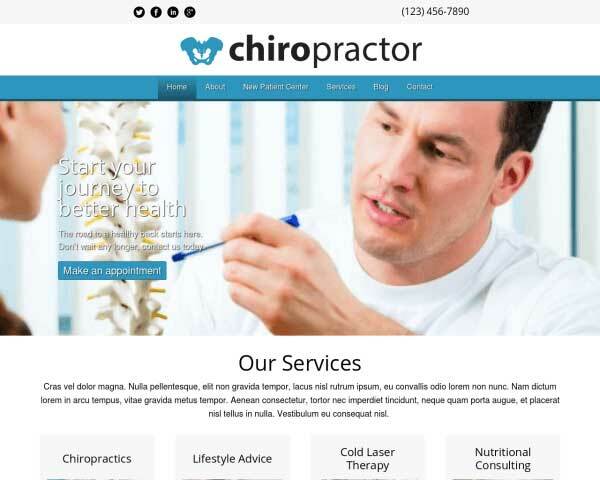 This premium website template is mobile-optimized right out of the box with no extra plugins or tedious coding required. 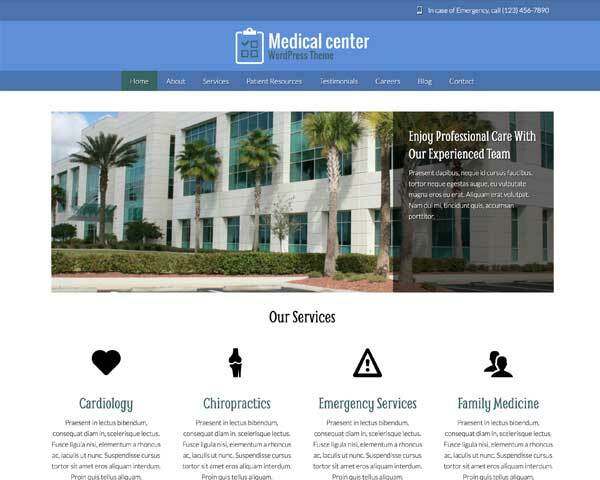 You can be sure that visitors will enjoy the same professional design and functionality of the desktop version while browsing on smartphones or tablets, with beautiful full-width images and user-friendly navigation. 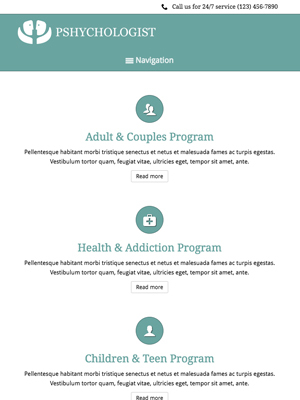 The layout of your content will automatically adjust to fit neatly on any screen size.